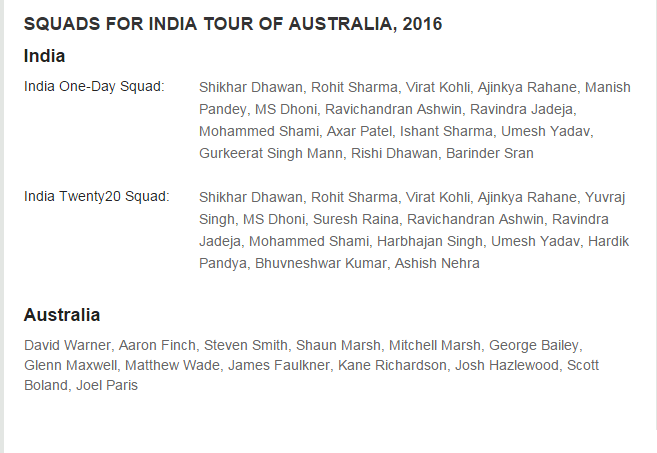 As we all know that India tour of Australia 2016 in this month. In this post I am sharing the Match schedule and the team squad for this Series . There are 5 ODI's and 3 T20's. Look out the Match schedule here.